Yes, cat videos have ruled the internet, but every dog  as they say  has his day. 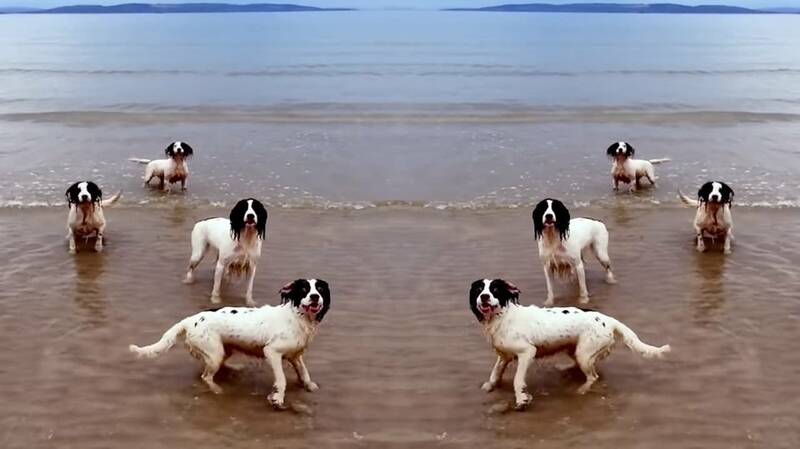 And that day surely is at hand in this spirited video, featuring a pack of vivacious spaniels, a lively Handel aria sung by countertenor Anthony Roth Costanzo and co-directors Tilda Swinton and her partner, the artist Sandro Kopp. Shot in watery locations in Scotland, the video offers no humans on screen. Instead, the single-named stars are Rosy, Dora, Louis, Dot and Snowbear, Springer Spaniels who leap, splash and pivot, practically dancing to Handel's propulsive beats. The music, like the hounds (which belong to Swinton and Kopp), overflows with energy. In the opera Flavio, from 1723, a husband rages against fate that has separated him from his wife. Never mind the ridiculous plot, it's the driving rhythms and Costanzo's urgent, agile performance that seem to perfectly match the frolicking dogs. During the aria's midpoint moment of tranquility, a slow-motion shot of one dog vaulting upward to catch some airborne treat is as beautiful as any tour jeté at the ballet. Swinton's video, like Costanzo himself, has taken Handel's music to some unusual places. It's part of the singer's multi-media installation created for Opera Philadelphia, where fashion designers, visual artists, actors and dancers collaborated with Costanzo and his performances of music by Handel and Philip Glass. At a time when the internet can be a frightening place, this six minutes of pure joy feels like it has special powers.